Weddings are a wonderful celebration of love between two people. What started as a 'spark' has grown into a love that can last a lifetime. 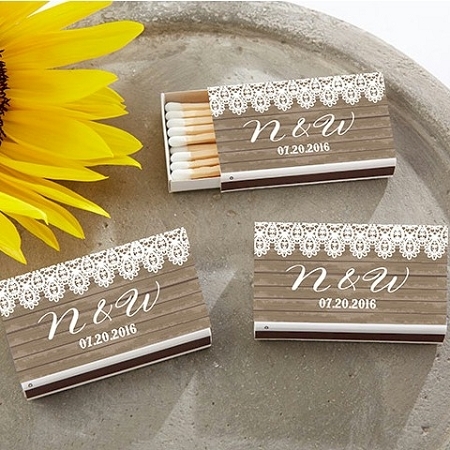 What better way to thank your guests for sharing in your big day than by sparking a fire in their lives, with our personalized wedding matchbox favors? At Wedding Favor Discount, we specialize in matching you with the perfect favors to capture your day and remind your guests how much they mean to you. A matchbox is a unique gift that guests will look on fondly years from now, and remember the love and beauty of that day. 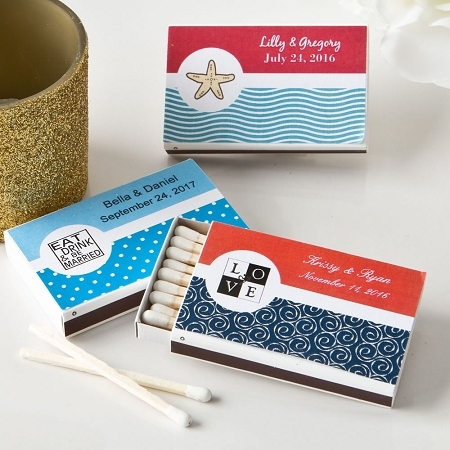 Personalized Matchbox Wedding Favors (set of 50), an option which allows you to completely customize the stickers from a design window. Personalized match box favors with your date, theme, and names make the perfect favor for other special events, such as cigar parties or bachelor parties. 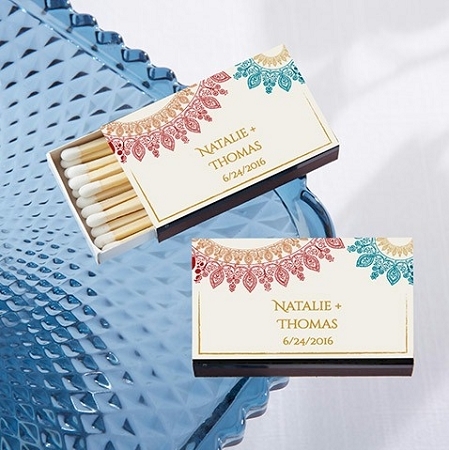 These cute matchboxes are not just a favor, but a piece that you can use to complement your party decor (without breaking your already strained wedding budget). Let us, at Wedding Favor Discount, help you bring that vision of your wedding (or other celebration) to life! Please contact us, so we can create a favor that will add that special light to your day (or night).